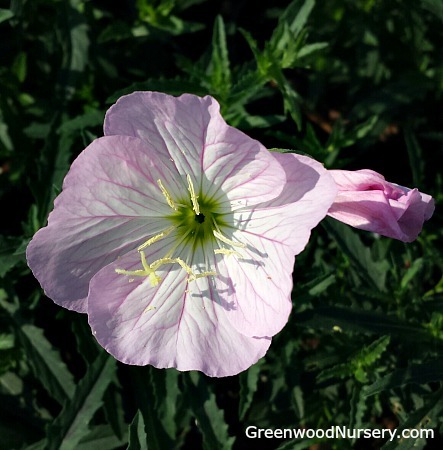 Commonly known as the Evening Promrose, the Oenothera Siskiyou is a beautiful native primrose with fragrant pink, saucer shaped flowers approximately 2 inches wide. The flowers have long stalks and are produced in great numbers, covering the dark green lanceolate leaves in a beautiful pink blanket. The flowers bloom through most of the summer and well into the autumn. They are fragrant, and therefore are a favorite for bees and hummingbirds. It is also deer resistant. 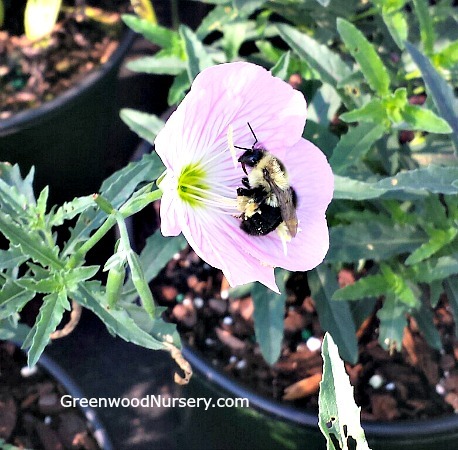 This pink evening primrose grows to a height of 6-8 inches with a spread of 12-15 inches at full bloom. It is a very hardy plant and will easily survive even the harshest conditions. It requires plenty of sun, and therefore does very well in part shade or full sun. It is heat tolerant and will survive temperatures ranging from -29° to -23°C. The evening primrose will survive poor soil quality with little water, and tends to spread rampantly in more fertile, well-drained soils. This drought hardiness makes it perfect for rocky gardens or as a border plant for softening the edges of pathways. It is perfect as a ground cover for gravelly soils, slopes, rocks, and banks, making it a great ground cover for any location. You can also grow it as a container plant. Oenothera speciose care requirements are very minimal. It requires very little water with the exceptions of new plantings that require daily watering for a couple of weeks. After this period however, watering can be adjusted to every two or three days depending on the weather and soil type. Make sure to let the soil dry before watering periods. You can snip off faded blooms, but we recommend waiting until the blooming period ends so you can remove the entire flower stalk from the base of the plant. Do not prune after September 1st. Oenothera Siskiyou is grown in a one gallon pot. Orders shipping to CA or AZ may be bare rooted before being prepped for shipping.